Patch 4.25 extends the FINAL FANTASY XIV: Stormblood saga with new combat elements, weapons and more. 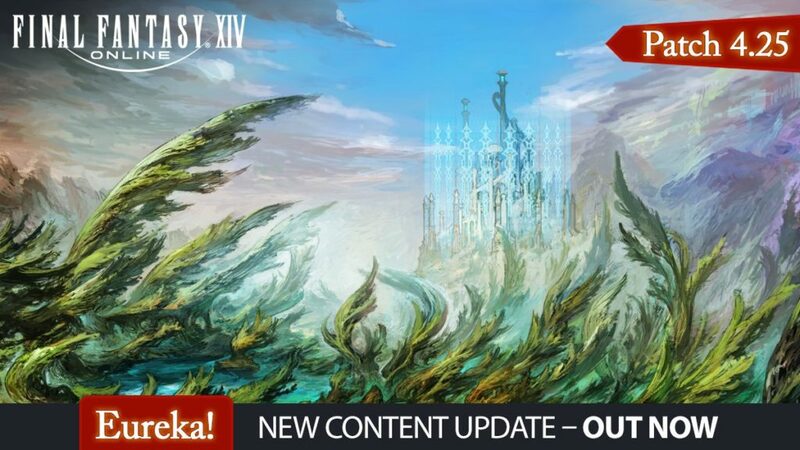 In FINAL FANTASY XIV, with the release of Patch 4.25, the fog around the Forbidden Land of Eureka Anemos unfolds. The mysterious new region is unexplored and wild. The forces of nature are constantly changing and players have to face up to and master new combat elements in order to obtain new weapons. The content update also features the latest chapter in the adventure of master criminologist Hildibrand and opens the seventh season of the PvP tournament “The Feast”. Playing field: Up to 144 players can fight together in one instance. Players are encouraged to team up with other adventurers to hunt monsters and pursue common goals. Player Development: Players will gain experience points to make better use of the elements. Anyone who runs head over heels in Eureka loses Element experience points or even experience levels. Modified Combat Mechanics: The element-based combat requires additional strategies. Players must use the Magia board to adjust the elemental value of their attacks and counteract the element of their opponents. The Magia board can be customized, depending on the goal, the adjustments should be carefully thought out by the player. Rewards: When exploring Eureka, players occasionally receive unstable crystals that can be used by master smith Gerolt to enhance Eureka weapons and equipment. The free trial of FINAL FANTASY XIV allows new players to join the millions of adventurers in the world of Eorzea. It gives everyone access to all available content up to level 35 (including all PvP modes) to create up to eight characters, and to try out all available races, classes and jobs without any restriction on the game time.